Loris Taylor of the Hopi Nation has been a leading figure in the effort to bridge the digital divide for Native Americans. In the middle of an e-commerce boom, Fidel Bahe still has to sell his art the old-fashioned way. He brings his handmade jewelry, paintings and bronze sculptures to art shows to advertise his work. He'd rather be able to stay at home and sell his pieces online, potentially reaching a larger audience. But he has no Internet access. That's because Bahe lives on the Navajo Nation reservation in northeast Arizona, in an area about 45 miles from the nearest town. "The only thing we know how to do to get access to the outside world is smoke signals, and the wind doesn't blow our way anymore," said Bahe with a laugh. Bahe's 16-year-old grandson attends school off the reservation and wants to take college-level courses online for school credit, like his classmates do. But, like his grandfather, he doesn't have Internet at home on the reservation. "He feels like his friends are more advanced than he is at school; he feels left behind," said Bahe. Bahe's situation is not uncommon. It's what the majority of those living on Native American lands in the United States face every day. The broadband penetration rate across the 566 federally recognized tribes is less than 10%, according to a Native Public Media and New America Foundation analysis. "Students will drive to neighboring cities and sit in the McDonald's (MCD) parking lot to get connectivity," said Traci Morris of the Chickasaw Nation of Oklahoma. 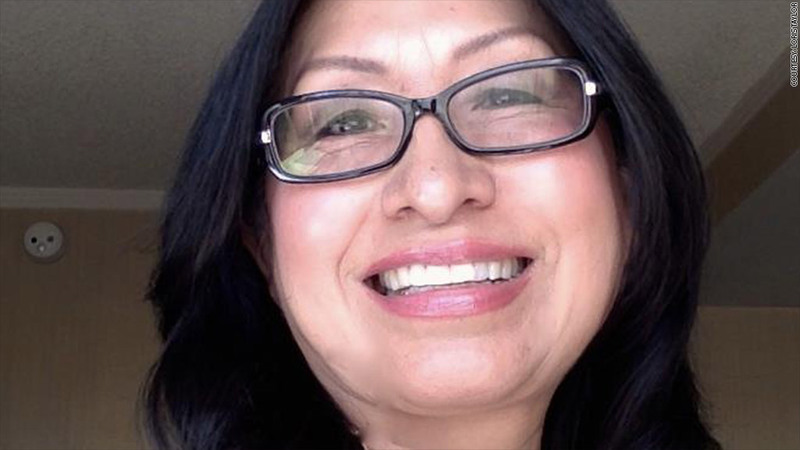 She co-authored the study and is the director of the American Indian Policy Institute at Arizona State University. In a new report, Morris notes that the lack of broadband access even includes key community institutions on reservations, such as libraries. The country's major broadband providers tend to pass over rural tribal lands, in favor of wiring more densely populated urban areas. Wiring homes for broadband is expensive, and they can get a bigger bang for their buck in cities and towns, explained Morris. Regulatory hurdles also have dissuaded Internet companies from wiring reservations. Doing business in a reservation begins with a lengthy, multi-tiered bureaucratic process that starts with the Bureau of Indian Affairs, and includes navigating each sovereign tribal nation's unique system of governance. The FCC's Tribal Government Engagement Obligation initiative hinges on meaningful, collaborative relationships between carriers and tribal leadership, but there's no one-size-fits-all solution. Developing a system of best practices will have to happen on a case-by-case, tribe-by-tribe basis -- and that will take time, explained an FCC official. Cyclical and endemic poverty on tribal lands is another impeding factor to getting reservations online. Native American and Alaskan Natives have the highest poverty rate by race in the United States, with nearly one-third of those on reservations living below the federal poverty line, according to 2012 U.S. Census data. Derek White, general manager at Gila River Telecommunications based outside of Phoenix, Arizona, is one of the just 11 native telecommunications companies on tribal lands. Half of his residential customer base from the Gila River community gets Internet access from his service, but he says cost of both connectivity and devices, like laptops and tablets, is a huge barrier for Native Americans. "Our community is still in a state where we have to decide between communications -- or water, food and gas in the car," said White. In the past, the problem went largely unaddressed by the U.S. government. Native Americans were always placed in the "Other" box when it came to data collection on broadband services in America, explained Loris Taylor of the Hopi Nation, and CEO of the Arizona-based Native Public Media. "We were not mentioned at all," she recalled. " Native Americans are the most invisible, most underserved, and, as a result, most vulnerable group. We are the poster children of non-access to what drives the economy and the world today." As a part of the FCC's efforts to confront the problem, its four-year old Office of Native Affairs and Policy is engaged in a series of training and consultation workshops on tribal lands in Idaho, California, Minnesota, Oklahoma and on the East coast. The goal, in part, is to educate stakeholders about FCC policies and for the U.S. government to learn better what the different Native American populations' unique needs are. The FCC is incentivizing broadband companies to bring Internet service to Native American territories by offering federal subsidies. Related: Harlem: New York's new tech hub? But the solution isn't as simple as just providers showing up. White, from the Gila River community, has begun consulting with outside providers who are coming in. He is sharing culturally-specific information to help facilitate better engagement with native leadership. "Large carriers have that mentality of being the big fish," said White. "A carrier may just say, 'We're going to put a 300-foot tower in your community and it's going to be the greatest thing since sliced bread,' without doing any assessment of the impact on the community." Still, the demand for Internet is definitely there. "They know the Internet is the great equalizer -- for their kids especially -- and they want it," said Morris. Today, everything from applying to jobs, to doing research for school work, to paying bills is done online. Native advocates and community members recognize the unprecedented opportunity the Internet poses for entrepreneurship and economic growth, increased civic engagement, and better education and health care for their nations -- still in the process of rebuilding. "The resilience of Indian country never ceases to amaze me. We know our communities. We get things done with limited means. We are adaptable people, or we wouldn't still be here," said Morris. "It's a matter of getting a seat at the table."